I am a partner in Clarkslegal's Dispute Resolution Team. 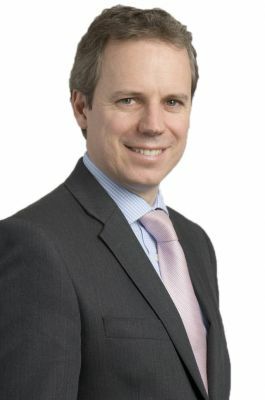 I advise on all types of commercial disputes and my objective is always to find the most cost effective way of achieving my clients' objectives, whether that be arranging a without prejudice meeting with the other party to the dispute to reach an early amicable resolution, or issuing legal proceedings where my clients' rights need urgent protection. I am recommended in the Legal 500 and Chambers and Partners legal directories. Although the Commercial Agents Regulations have been in force for more than twenty years, providing commercial agents with a series of additional rights against their principals, it remains an area of law that the Courts have struggled to implement and enforce clearly. In recent years I have advised many principals and commercial agents on their rights and duties under the Regulations. This has included acting on a successful international arbitration brought against a Swedish listed company leading to a multi-million pound award, and defending a UK plc against a substantial claim for compensation brought by a disgruntled former agent. Clarkslegal is also retained as an adviser to members of AgentBase, the UK's largest trade body for principals and commercial agents. I also have a number of published articles and lecture on this area of this area of law. IT is now an essential feature of all businesses. Where IT systems fail it can be catastrophic for a business. Often IT disputes require urgent resolution otherwise essential business processes are left suspended and potential damages claims mount up. I advise software and hardware designers and suppliers as well as businesses using these services, so understand and have experience of the legal and commercial issues confronting both parties to a typical IT dispute. I have advised businesses and public authorities on public procurement challenges and judicial reviews, including defending a local authority against a judicial review of their decision made in respect of a Foundation School and challenging a decision made by the Welsh Government to award a high value services contract. Most government and public authority contracts are required to be tendered in accordance with EU and national regulations. Where procedures are not correctly followed and decisions are made unlawfully, these regulations impose very tight deadlines within which a dissatisfied party can bring a challenge. If those deadlines are missed, usually the right to challenge a design or procedure is lost. It is essential therefore that clients receive quick and effective advise from an experienced lawyer if they find themselves in a situation where they need to challenge a decision or, if they are the public body making the decision, they are being challenged. I have a wide experience of acting for manufacturers/suppliers on product liability claims including product recalls, as well as consumers and customer seeking redress for defective products. Any business involved in the manufacture and supply of products needs to comply with Product Liability law otherwise they can face substantial compensation claims and, in serious cases, criminal liability. Even the best run businesses can find themselves having to address product liability claims. Sometimes this will be a single product which has a fault. On other occasions, a whole batch of products might be defective and require recall. Often urgent action is needed, particularly as a business' reputation can be damaged if they do not properly deal with a product liability issue.